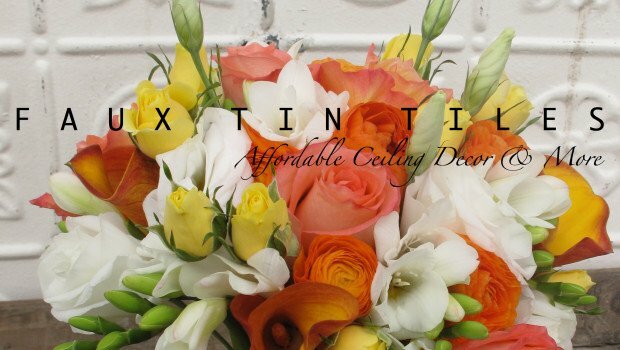 Welcome to Faux Tin Tiles! 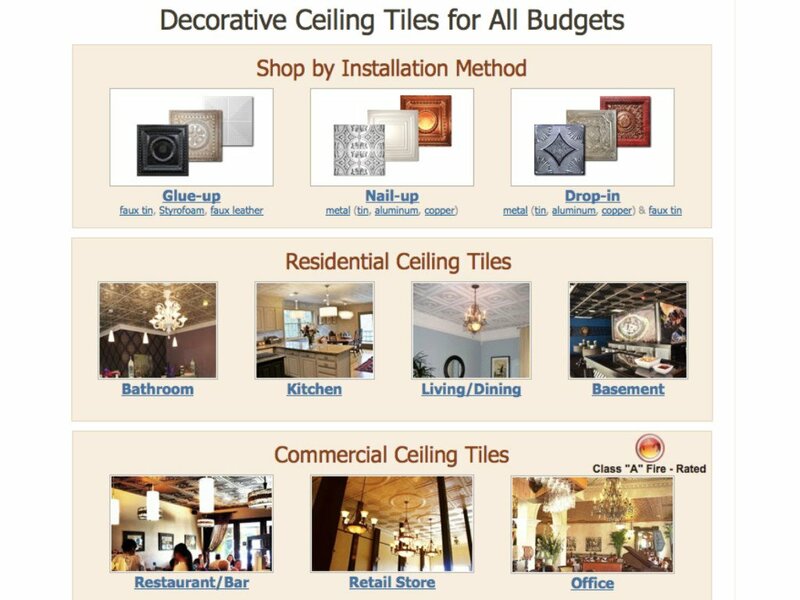 Metal ceiling tiles are a decorative element popularized in the United States in the late 19th and early 20th centuries as an alternative to the expensive and ornate European ceiling plasterwork. Tin became a uniquely American alternative — decoratively exquisite yet affordable. 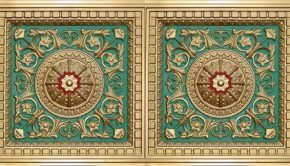 Today, in addition to tin, solid copper, and aluminum decorative ceiling tiles are also available in faux tin (feather weight PVC plastic), and ultra thin and light foam ceiling tiles (styrofoam / polystyrene) options. Once you choose which product suits your project and budget, you can then shop for a style and finish that fits the look you want to achieve. Decorative ceiling tiles can be glued or nailed to just about any ceiling surface, assuming the ceiling is in structurally sound condition. Most styles also work great on drop ceilings and can cover popcorn ceilings without the mess and headache of popcorn ceiling removal. Plus, these stunning decorative squares can now be enjoyed without looking up. Use ceiling tiles on your walls, as a kitchen or bathroom backsplash, as photography backdrops, as a headboard for your bed, and even on your tables as you entertain friends and family. Most tiles are available for quick delivery and installation wherever you live including the United States, Canada, Puerto Rico, the UK, Ireland, and Australia. Tin, solid copper, and aluminum tiles generally start at around $7.75 for Tin Plated Steel that is meant to be primed and painted from both sides. This is the tile we recommend when you need your tile to have magnetic properties, ie you are creating a magnet board or magnetic headboard for a child’s room. Mill Finish Aluminum costs around $9.75 per tile and it too is meant to be primed and painted from the face side. The most popular tin tiles are pre-finished, clear coated, white, and specialty finished aluminum that arrives ready to install. Priced at $14.75 each and up, these tiles are pricey but beautiful. The biggest negative, in addition to the price, is that sound bounces off the tin so a room can get pretty noisey pretty quickly. In recent years, many designers began opting for faux tin and foam alternatives to create the tin-look. Today’s PVC and polystyrene products are classy and elegant and unless you are inches away and touching and tapping the product, it is difficult to discern the real tin from the fake tin. Faux tin tiles are generally available in a myriad of colors and styles for $9.99 each. Similarly, hand painted Styrofoam tiles also cost around $9.99 each but the classic white tiles that you can paint yourself are available for only $3.99 each. At that price there really is absolutely no excuse not to replace your stained, peeling and ugly popcorn ceilings today!